We look forward to sharing our Islands with you. Hawaii is most famous for its pristine beaches and tropical beauty. Every year, thousands of people come to the islands for a taste of paradise. However, truly savvy visitors realize that Hawaii is also one of the best places in the world to see Mother Nature in her rawest state. We’re talking about volcanoes. From land, sea, or air, Hawaii Volcano Expeditions has you covered with our local guides showing you a side of Hawaii that even most residents miss. Experience the awesome power of lava flowing just a mere football’s throw from your boat as the ocean bubbles from the heat. 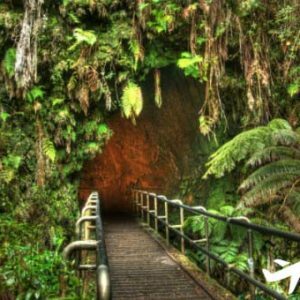 Go underground through ancient lava tubes bigger than a car as we explore how such grandeur was formed. 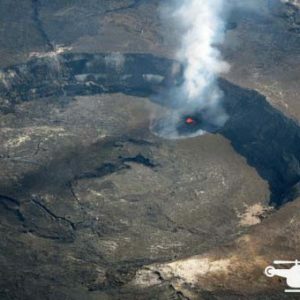 See paradise as only the birds can with our helicopter tours revealing not only the glowing red beauty of the lava but the scorched, blackened terrain around it. The islands were created by hot spot volcanoes and millions of years later, the Big Island is still expanding because of the longest continuously erupting volcano, Kilauea. At Hawaii Volcano Expeditions, we love showing visitors our home and how it all started. 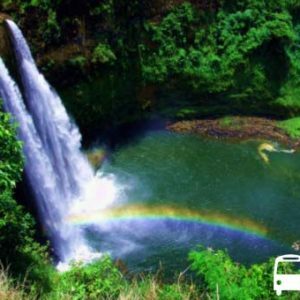 We embody the aloha spirit, providing guests with a comfortable, entertaining tour that is unique to Hawaii!